HTC announced its new HTC One line of smartphones, with sleek designs, classy finishes and terrific camera features. 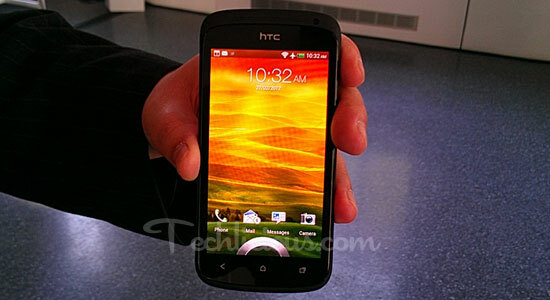 The HTC One lineup includes the flagship HTC One X (AT&T), with a 4.7" HD (1280x720) super LCD display, and the HTC One S (T-Mobile), with a 4.3" qHD (960x540) Super AMOLED display. The displays look terrific, both heads-on and with off-axis viewing. 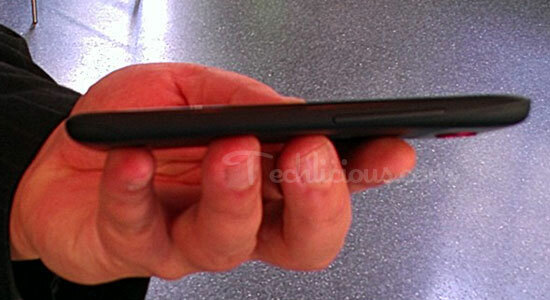 Later in the year, HTC will also bring out it's 3.7" HTC One V to regional carriers. 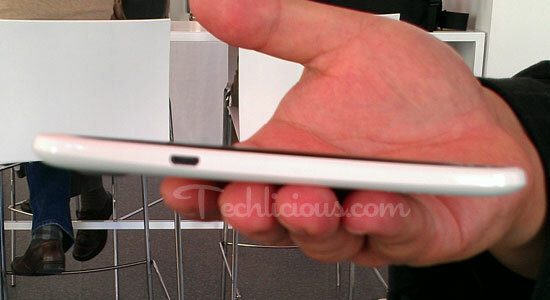 The HTC One X and One S share extremely thin, light-weight designs that were a pleasure to hold, making each seem smaller than its actual size. Both phones also have new finishing treatments that HTC says will resist the appearance of scratches and, thankfully, provide excellent grip.The trade-off of the thin design is a battery that can't be removed, similar to the Motorola Razr and Razr Maxx. Inside, there's plenty of power, with a 1.5 GHz dual-core processor and 1 GB of RAM. The One S runs on AT&T's LTE network and the One S on T-Mobile's HSPA 42 Mbps network. Both the HTC One X and One S come with 16GB of built-in storage, but no slot for an SD card. Each runs Android 4.0 (Ice Cream Sandwich). Clearly, someone at HTC asked the question, "What can we add to the camera to actually make it more useful, not just more complicated?" To answer that question, HTC gives us three new features that facilitate photo and movie taking. The first is simple — combine the photo capture and video record button in one place. No more shuttling between screens to shoot photos and video. In the same vein, you can now also capture full resolution images while shooting video. The other useful improvement is a burst capture mode that lets you take 20 or more photos, at 5 frames per second — you pick the best one and then the rest are automatically deleted. The 8MP camera also sports superfast capture — an estimated 0.7-second shot time and a 0.2-second autofocus — and a F/2.0 lens that HTC says captures 40% more light than other smartphone cameras and should offer better low light performance. 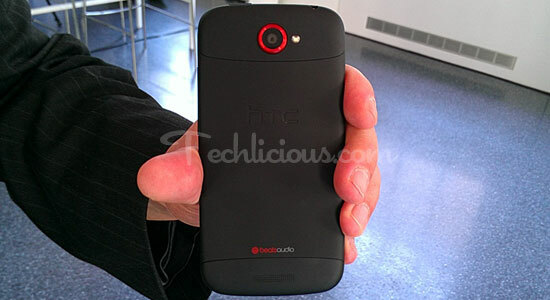 Both HTC One phones will shoot 1080p video. 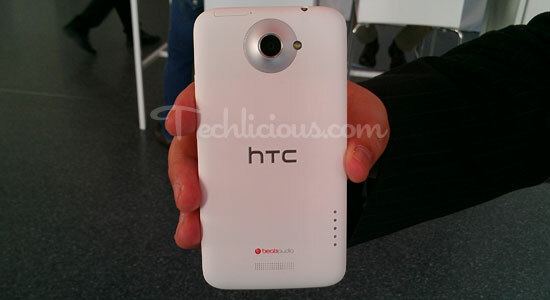 The HTC One S is expected to be out in the next 60 days or so. The One X will be out later in the spring. Pricing has not yet been released. 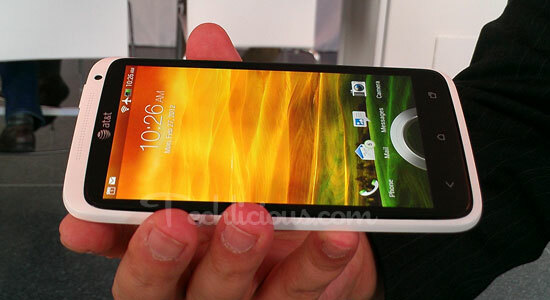 In the U.S., the HTC One X is launching with a dual-core processor and 16GB of storage. Those are official specs we have from HTC. Also, the person speaking in the video is a product manager with HTC.